Hello book lovers and welcome to the deadliest show--I mean, tour, today! 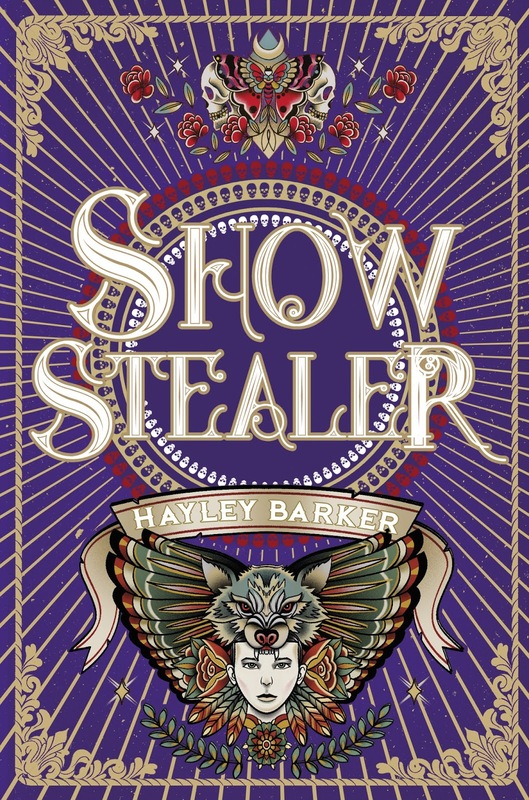 I'm kicking off the lovely SHOW STEALER by Hayley Barker, the follow-up to SHOW STOPPER, which you know I loved so much. So stay tuned! I got an ARC of Show Stopper before it came out and I just knew after reading it that there would be a huge hype because of how insanely amazing it was and I was right! Hayley's books have gained this incredible following and rightly so. When I was offered the chance to be on her blog tour for Show Stealer, I jumped at the chance! Getting to be a part of this has definitely been a highlight for me, blog wise, this year. We're right back into the action in Show Stealer that first engrossed us last year, back into the lives of Hoshiko and Ben. The story picks up a little after the end of the first, in alternating perspectives. They're on the run - since burning down Silvio's circus in Show Stopper - and even a year on, dodging the ruthless chase from Ben's mother and others trying to find them. With a reward on their heads, it's more dangerous than ever to get close to anyone else for fear of being turned in. But being backed into a corner by his mother, Ben is forced to sacrifice himself to save Hoshiko once and for all. Thrown into the spotlight as the new star attraction of the circus - risen from the ashes - the deadliest show on earth is far darker on the inside than as an outsider. The deeper that he gets involved and learns more of the show, the more revelations come to light that changes everything they thought they knew about the circus. Wow, wow, wow. Just wow. Have you ever been reading a book and you just have to stop and think "this is amazing, please don't ever end?" Because that's how I felt when I was reading Show Stealer. There's something about the way Hayley writes that's so hypnotic, and I was reeled in by the darkness of the deadliness, turning pages faster and faster. The pacing is so faultless that putting it down at one a.m. wasn't on my mind, and I kept reading until the sky was as dark as the turns Ben took in the circus. I finished the book in two sittings over two days (if it was up to me I wouldn't have put it down in between, but you know, life) and I seriously can't wait to just binge-read the entire series again. Overall, Show Stealer has stolen my heart in the best possible way. 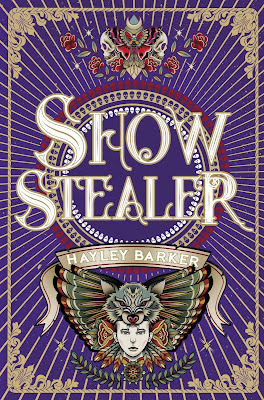 Hayley is such a talented and unique author and I am so lucky to have been a part of the Show Stopper - Show Stealer journey over the last couple years. There's hidden messages in the book that entwine with society and perception (which is one of my favourite things) that makes this a definite highlight of YA Fiction this year for me. If you're looking for just one series to start this year, make it Hayley's. You won't regret this stunning five-star read. 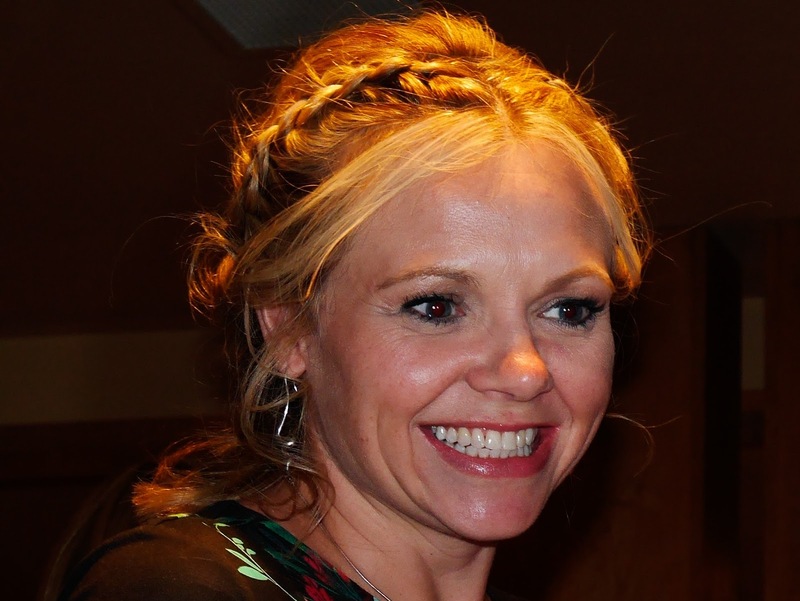 Hayley Barker has a BA (hons) degree from Birmingham University and has taught secondary school English for eighteen years. She is a huge YA fiction fan and says being published is the most exciting thing that has ever happened to her. Hayley was inspired to write her YA because of her fears about the growing wave of crime and animosity against minority groups in England. She lives in Essex with her husband and two young sons. It's the last few days to enter this INCREDIBLE giveaway I'm running for SHOW STEALER! Have you read Show Stealer/Stopper? What did you love the most about the series?